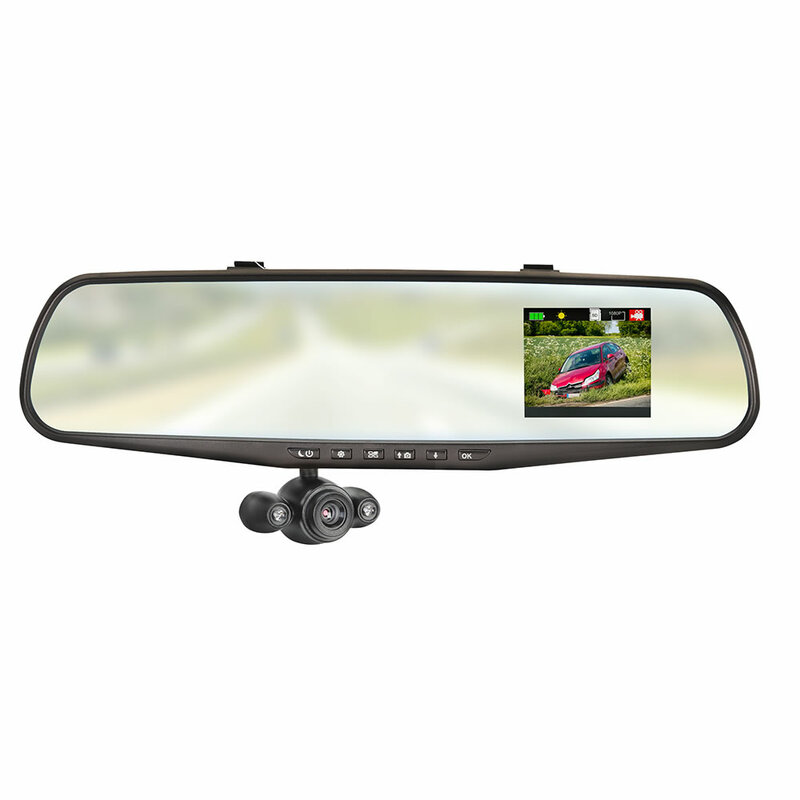 Unlike windshield-mounted dash cams that obscure your view, this model simply slips over your rearview mirror to provide a video record of driving trips. It begins recording when you turn the ignition and captures up to 14 hours of 720p high-definition video, providing proof of accidents or burglaries, and an “eyewitness” for insurance claims/police reports. 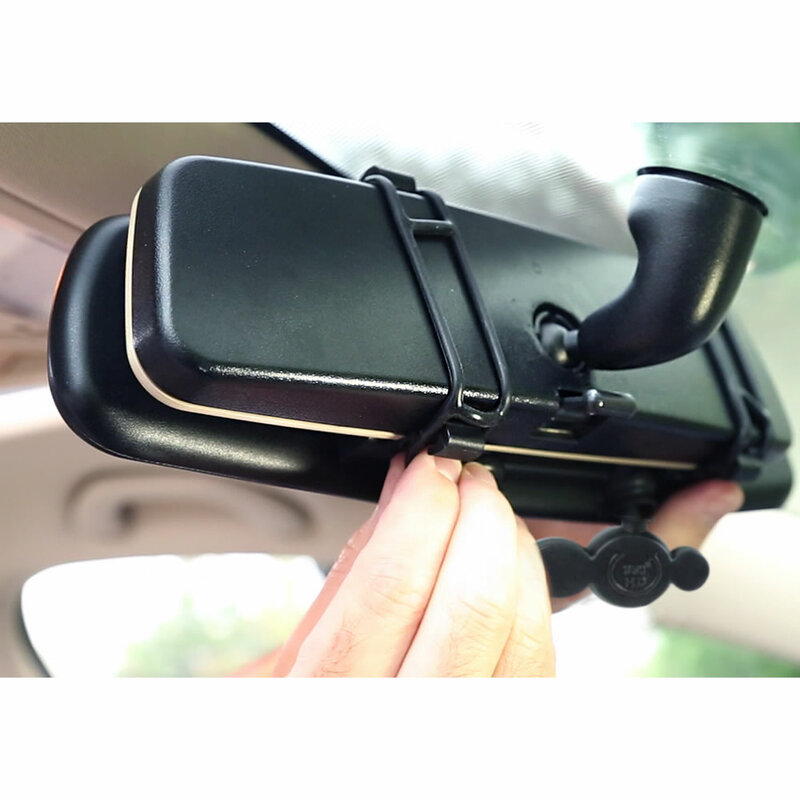 It mounts in seconds over most rearview mirrors using included rubber straps and manually swivels 350° to capture video from almost any angle. It saves footage in 1-, 3-, or 5-minute clips on an included 8 GB MicroSD card (supports up to 32GB cards) with endless loop recording that deletes the oldest files when memory fills up. 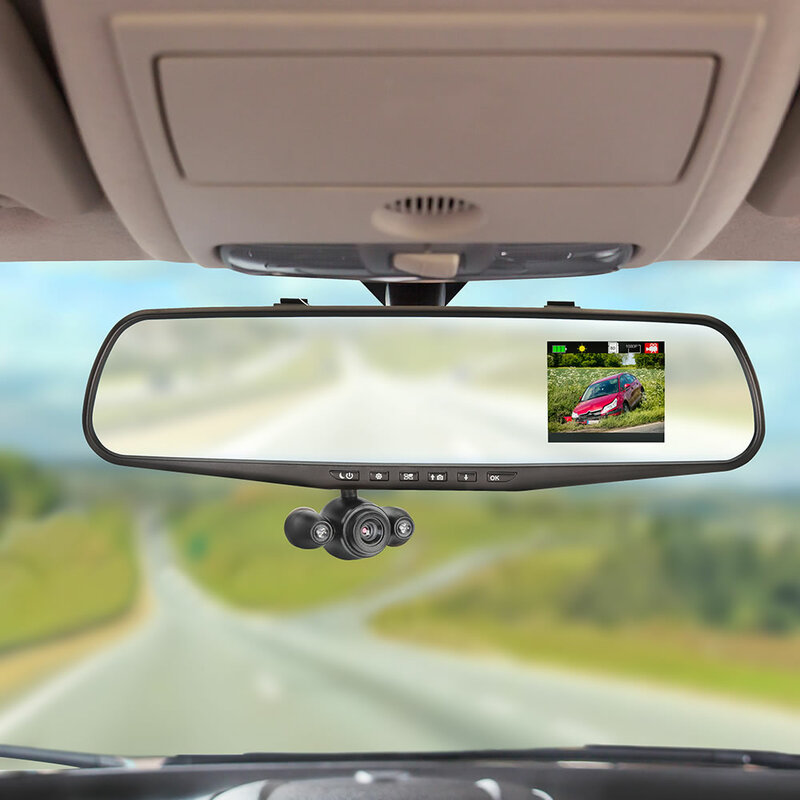 Video can be viewed directly on the mirror’s 2 1/2" LCD screen or on a computer using the included MicroSD card reader. Operates cordlessly for up to one hour on built-in rechargeable battery or continuously when plugged into included DC adapter. The Dash Cam Rearview Mirror comes with The Hammacher Schlemmer Lifetime Guarantee. Items that we sell are guaranteed for their normal life under standard non-commercial use.